Searching for luxury homes can require its own set of language, but a highly qualified Austin REALTOR® with extensive knowledge of the area housing market and the types of luxury homes available can help make the process easier. This list of luxury home terms consists of some of the words you may come across when conducting your Austin home search. 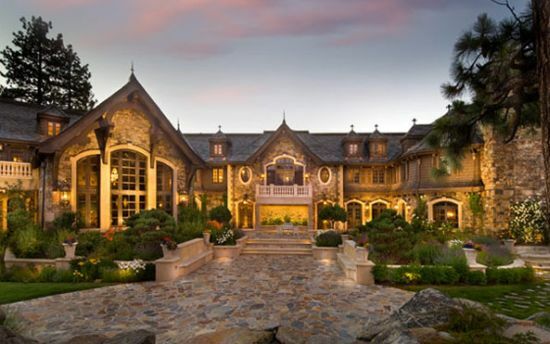 Search our Austin Luxury Home Listings. Al Fresco Dining - Outdoor dining. In the context of luxury homes, this often means dining on an open-air veranda, courtyard, terrace, or balcony. With Austin luxury homes, this may also include dining alongside Lakes Austin and Travis or while enjoying hill country views. 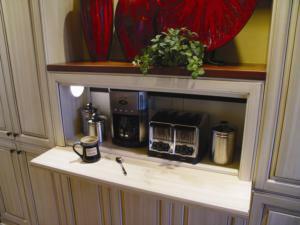 Appliance Garage - Kitchen compartment or cabinet designed for housing frequently-used small electric appliances, such as coffee makers, juicers, and toaster ovens. Backsplash - An upright surface or border in a kitchen, typically made of natural stone tile, that protects the wall behind a sink or stove. Also can be intricately designed in a mural-style. Beverage Centers - Once tied down to a solitary refrigerator in the kitchen, beverage centers now make appearances all over the house: gamerooms, master bedrooms, family rooms. With espresso machines, wine chillers, and mini-refrigerators all a short walk away, drinking a beverage has never been so luxurious. Boat Dock – A structure designed to secure a boat in the water. In Austin, this would be securing a boat in Lake Austin or Lake Travis. Some homes on the lakes may offer a boat dock for one boat, or up to several slips for multiple boats. Boat Lift – A structure designed to secure a boat above water, for protection from corrosion and from winds or waves knocking it against its dock. An electric lift allows for quick lifting and lowering into the water for ease of use. Butler’s Pantry - Historically, a butler’s pantry was a small room between the formal dining room and the kitchen where the family silver and formal china were stored. The butler often slept here, as it was his job to guard the silver. Today, the space has evolved into a wet bar and prep area, as well as a display area for design elements and decorative items. Carriage House -Historically a building for housing a horse-drawn carriage, now typically a building that has been converted into a separate living or dwelling area or garage. Catering Kitchen - Hosting large events on a regular basis requires ample space for food preparation and servers away from the eyesight of guests, yet still close to the action of the party. 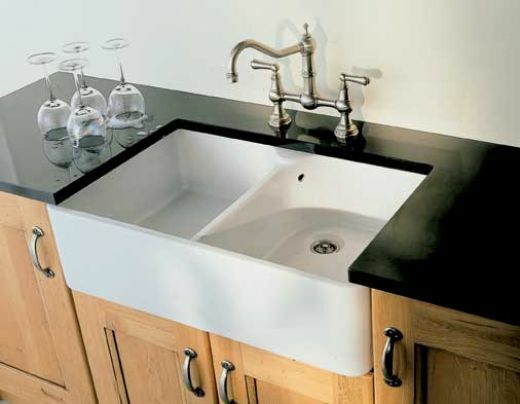 Catering kitchens provide that amenity for those elegant hosts who know how to throw the best parties. Closets - What is luxury about closets? How about a two-story closet or his and hers closets with hundreds of square feet for each? Floor to ceiling mirrors, dressing areas, laundry facilities, staircases to less-utilized items, a built-in coffee bar, shoe boxes for hundreds of pairs ... you name it, luxury closets are in an entirely different category from run-of-the-mill closet space. Crown Mo(u)lding - A molding used on cornice or wherever an interior angle is to be covered, especially at the roof and wall corner. Electronic Showers - What's your ideal temperature setting? Programmable showers allow you to set temperatures, spray patterns, and more. Foyer - An entrance hall or other open area in a home, often considered a showpiece of the home, as it is in public view from the front door. 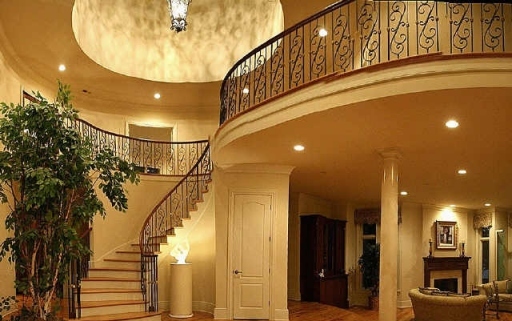 Luxury homes often feature elaborate or well-appointed foyers. 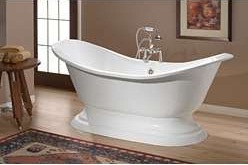 Public or semi-public rooms, such as the living room, dining room, or family room, typically attach to a home's foyer. Frameless Glass Doors -Glass doors, in a shower or in a room overlooking a view, that do not have a visible frame. French Cottage Style - Inspired by the manors of Provence, this style marries rustic, country style with French elements like pitched roofs and gables. Guesthouses or casitas are more common than ever with luxury homebuyers. Whether it's for the in-laws, older kids, or company, providing an extra space of privacy is an in-demand feature. Herringbone - A V-shaped pattern formed with rectangles and named for its resemblance to fish scales. Often found in flooring and fabrics. Home Gym - An indoor room with cardio fitness equipment, weight machines, free weights, and any type of exercise equipment preferred by a home owner. Often includes technological features, such as television or wi-fi, for leisure or work. Home Office - Take the home office up a notch by making it an office for two, adding a second level, adding a conference area or waiting area, or making space for secondary employees. Indoor Sport Court - Play some hoops, work on your raquetball serve, or even play virtual golf in a contained environment usable all year, in all weather. Induction Cooktop - Using copper wire and magnetic fields are quicker to heat, energy efficient, and best of all - only hot where the pan is, meaning no burning of fingertips or kitchen tools. And, even better? Today's best models also come with touch screen areas for checking recipes, the weather, or even your favorite online sites. Infrared sauna - Utilizes infrared heaters to emit infrared radiant heat, which is absorbed directly into the human body. Infrared saunas penetrate more deeply than traditional saunas. Infinity pool - A swimming pool whose positioning gives the impression that it merges into the surrounding landscape. Often overlooking a body of water, such as a river or bay, or on a hillside or cliff. Invisible Appliances – Appliances, such as a refrigerator, dishwasher, stove, or washer and dryer, with exteriors disguised to match the cabinetry, the idea being that it feels more welcoming. Ipe - Ipe is one of the strongest woods in the world and is a durable, all natural, and chemical free option for decking, flooring, and home exteriors. 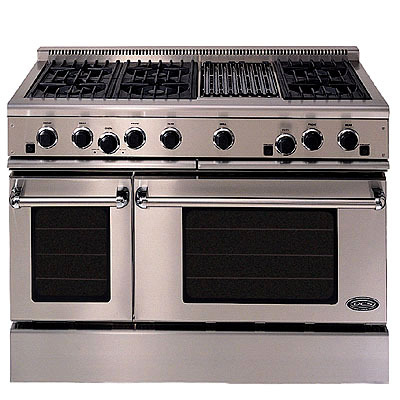 Island Cooktop - A kitchen island with a stovetop feature, designed so the stove is centrally located to food prep areas. Also frees up more cabinet and counter space around the kitchen. Koi Pond - A small pond with Japanese goldfish and lilypads. Or, how about a swan pond? Library - Let's retire to the library, shall we? High-end wood paneling, second levels reached by winding staircases or movable ladders, an alcohol or coffee bar, chandeliers, and extra luxurious furniture for lounging transform a home library into a luxury home library. Meditation Gardens - Meditation gardens are designed as peaceful spaces for meditation, yoga, and quiet time and may include labyrinths, water features, and mandala or Zen-inspired designs. 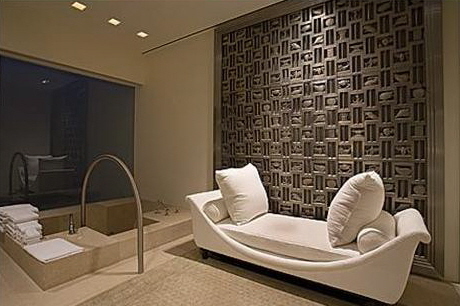 Meditation and Massage Rooms - Home is a sanctuary, and rooms dedicated to that purpose are more and more common, whether for a weekly massage appointment, daily meditation, or other peaceful activities. Moats - Yes, moats are making a comeback. Not just for castles, moats do provide a level of privacy unrivaled by a simple hedge of bushes or a small fence. While today's moats are more beautiful - think streams flowing over well-crated rock features - their function works just the same. Pied-à-terre - a part-time or temporary secondary living space generally in a separate city from the primary residence; often used for part of the year or part of each week for work purposes. Putting Green - Often designed to match famous courses, putting greens with several holes are popular among golfers with luxury homes. Safe Rooms - For your "stuff" and for you, safe rooms are designed to provide safety for a limited amount of time, until help arrives or danger passes. With secure electronics and phone lines, leakproof air systems, gun safes, and short term food supplies, the security options are endless. 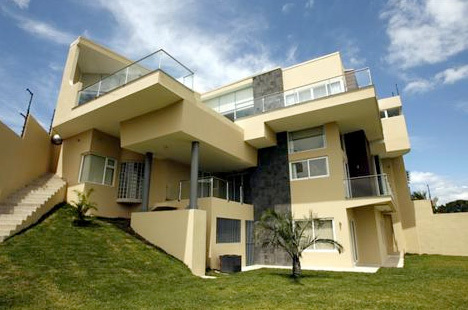 Smart Home Technology - Modern luxury homes will offer convenience through the use of technology. Adjust the thermstat, turn on/off the lights, adjust the blinds, lock the doors, and set the alarm - all from a smartphone. Solarium - Intended to allow for additional sunlight and warmth, solariums are attached rooms constructed mainly of glass walls, glass roofs, and curved glass corners. 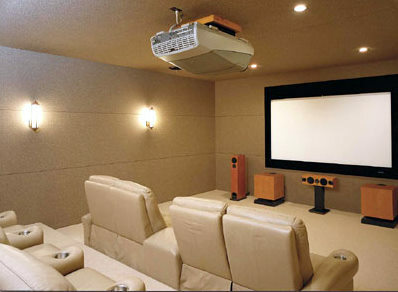 Theatre Room - A room suitable for viewing films without light interruptions, usually by being built in a basement, a windowless room, or a room decorated with heavy, light blocking drapes. Can be quite elaborate in luxury homes, with theatre-style draperies, top-of-the-line acoustic systems, refreshment bars, etc. 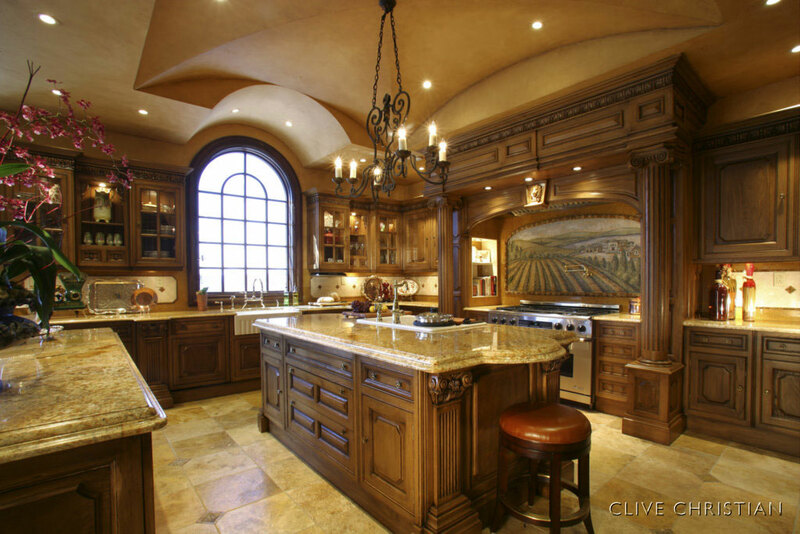 Venetian Plaster – Plaster mixed with marble dust that is applied to wall and ceiling finishes in a variety of tints. Can create the look of marble on surfaces where marble panels cannot be installed easily, such as on columns. Veranda – A roofed porch or balcony alongside a house or building that is often partially enclosed, such as with a railing. In some cases, a veranda will lead into a courtyard. Wine Cellar - A dark cool cellar, where wine is stored. 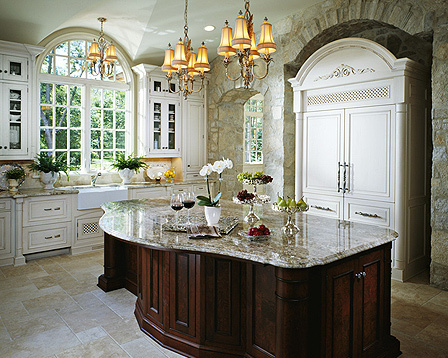 Sometimes the wine cellar option is changed into a wine room or closet or a wine wall for a more public display.